Posted on May 3, 2010	by भरत ! 1. Pentium processor: Vinod Dham , He is called the Father of the Pentium chip for his role in the development of the Pentium processor. He is also one of the co-inventors of non-volatile flash memory. 2. The concept of EMAIL originated in mind of Sabeer Bhatia and jack smith. The two came up with the concept of a web-based database entitled Javasoft. While pursuing this idea, they subsequently realized the potential of a web-based e-mail system and thus decided to create one called HoTMaiL (the first email provider in internet world). 3. 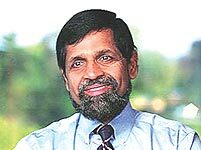 Arun N. Netravali (born May 26, 1946 in Bombay) is an Indian-American engineer who is a pioneer of digital technology including HDTV and MPEG4 that transformed TV from analogue to digital, enabling numerous integrated circuits, systems and services in broadcast TV, CATV, DBS, HDTV, and multimedia over the Internet. He conducted seminal research in digital compression, signal processing and other fields. Netravali has been President of Bell Laboratories and Chief Scientist for Lucent Technologies. 5. Mâdhava (c 1340-1425). He was the first to have developed infinite series approximations for a range of trigonometric functions, which has been called the “decisive step onward from the finite procedures of ancient mathematics to treat their limit-passage to infinity”. His discoveries opened the doors to what has today come to be known as mathematical analysis. 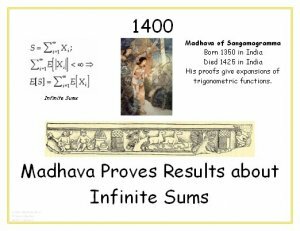 One of the greatest mathematician-astronomers of the Middle Ages, Madhava contributed to infinite series, calculus,trigonometry, geometry and algebra. He is the founder of the Kerala school of astronomy and mathematics. 6. India never invaded any country in her last 10000 years of history. 7. India invented the Number System. Zero was invented by Aryabhatta. 8 .The World’s first university was established in Takshila in 700BC. more than 10,500 students from all over the world studied more than 60 subjects. The University of Nalanda built in the 4th century BC was one of the greatest achievements of ancient India in the field of education. 9 .Sanskrit is the mother of all the European languages. Sanskrit is the most suitable language for computer software reported in Forbes magazine, July 1987. 10 .Ayurveda is the earliest school of medicine known to humans. 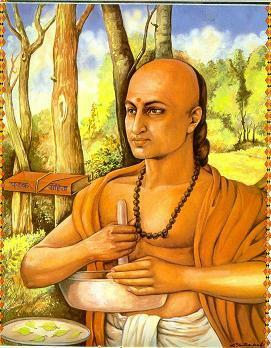 Charaka, the father of medicine consolidated Ayurveda 2500 years ago. Today Ayurveda is fast regaining its rightful place in our civilization. 11 .Although modern images of India often show poverty and lack of development, India was the richest country on earth until the time of British invasion in the early 17th Century. 12 .The art of Navigation was born in the river Sindh 6000 years ago. 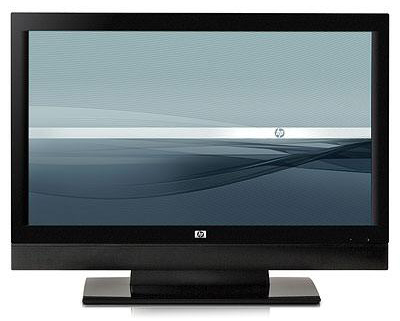 The very word Navigation is derived from the Sanskrit word NAVGATIH. The word navy is also derived from Sanskrit ‘Nou’. 13 . Bhaskaracharya calculated the time taken by the earth to orbit the sun hundreds of years before the astronomer Smart. ; Time taken by earth to orbit the sun: (5th century) 365.258756484 days. 14 .The value of pi was first calculated by Budhayana, and he explained the concept of what is known as the Pythagorean Theorem. He discovered this in the 6th century long before the European mathematicians. 15 .Algebra, trigonometry and calculus came from India; Quadratic equations were by Sridharacharya in the 11th Century;The largest numbers the Greeks and the Romans used were 10**6(10 to the power of 6) whereas Hindus used numbers as big as 10**53(10 to the power of 53) with specific names as early as 5000 BCE during the Vedic period. Even today, the largest used number is Tera 10**12(10 to the power of 12). 16 .According to the Gemological Institute of America, up until 1896, India was the only source for diamonds to the world. 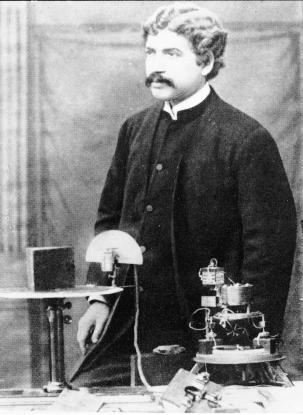 17 .USA based IEEE has proved what has been a century-old suspicion in the world scientific community that the pioneer of Wireless communication was Prof. Jagdeesh Bose and not Marconi. 18 .The earliest reservoir and dam for irrigation was built in Saurashtra. 19 .According to Saka King Rudradaman I of 150 CE a beautiful lake called ‘Sudarshana’ was constructed on the hills of Raivataka during Chandragupta Maurya’s time. 20 .Chess (Shataranja or AshtaPada) was invented in India. 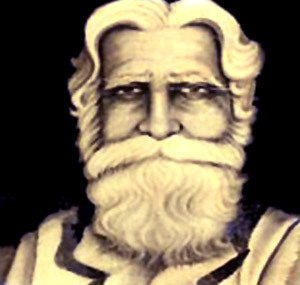 21 .Sushruta is the father of surgery. 2600 years ago he and health scientists of his time conducted complicated surgeries like cesareans, cataract, artificial limbs, fractures, urinary stones and even plastic surgery and brain surgery.Usage of anesthesia was well known in ancient India. Over 125 surgical equipment were used.Deep knowledge of anatomy, physiology, etiology,mbryology,digestion, metabolism, genetics and immunity is also found in many texts. 23 .The PLACE VALUE SYSTEM, the DECIMAL SYSTEM was developed in India in 100 BC. 24. Kung Fu is a derivation of Yoga— taught to the Chinese by an Indian Bhuddist Monk known as Bodidharma. 25. The earliest recorded use of copperware was in India around 3000 B.C. the findings at Mohen-jo-daro and Harappa, bear this out. 26. Usage of anaesthesia was well known in ancient Indian medicine. Detailed knowledge of anatomy, embryology, digestion, metabolism, physiology, etiology, genetics and immunity is also found in many ancient Indian texts. (the word sugar is derived from the Sanskrit term “Sharkara”). 28. India invented the making of camphor. 29. India invented the making of tin (the technical English word for tin is Cassiterite which is said to have been derived from the Sanskrit term “Kasthira”). 30. S. Chandrasekhar, Nobel laureate, who, in ’83, won a Nobel prize for his contribution to understanding stellar evolution. 31. Chess was invented in India. This entry was posted in India and tagged Arun N. Netravali, Aryabhatta, Bhaskaracharya, Budhayana, Charaka, India’s Contribution To The World, Jagdish bose, Mâdhava, NAVGATIH, Pentium processor Vinod Dham, Sabeer Bhatia, Sushruta, Takshila, Wireless communication. Bookmark the permalink. this post is informative .. Thanks for your kind gesture. u can suscribe for getting latest updates over the site. I am very thankful to the owner of this blog who has given me such enormous knowlegde about my own country…. thank u so much. To the Owner: Thats a gr8 job ..I know most of the Indians( including me) r unaware of these facts..i wish we ll get back our glorious past..
Good Work . . . Very Informative . . .